A total Solar Eclipse occurs on March 20, 2015, which is the Spring Equinox. This combination alone tells us something big is about to happen or kick into action. 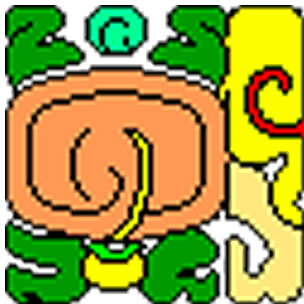 The Mayan day sign for March 20, by the way, is 4 Storm. Even more intriguing is that March 20 falls 819 days after December 21, 2012. One interpretation is these events are a signal that the global changes that were triggered on December 21, 2012, will culminate or reach a peak on spring equinox. It could be the tipping point as we shift into the New Aeon or what some call the new paradigm. March 20 is 13 days after the new Year Bearer of the haab, 3 Snake, takes the throne, according to the Gran Wayeb system followed closely in contemporary Guatemala. And 13 is the key number upon which all Mesoamerican cosmovision is based. So watch for sudden and unexpected world events in the days that follow. The Eastern Hemisphere will be more affected than the Western Hemisphere, where the eclipse will not be visible. Asteroid 2022 FG7’s close approach to Earth happened on March 13, seven days after the arrival of 3 Snake, and seven days before the total Solar Eclipse. This suggests a cosmic confirmation that something big is about to happen or begin on March 20, exactly 819 days after December 21, 2012.